Image courtesy of Jonas Bergsten/Wikimedia. 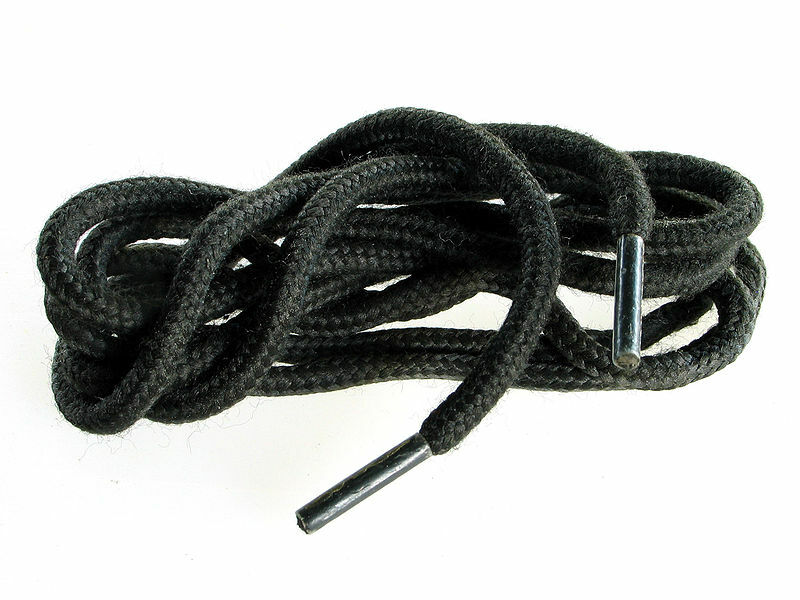 Did you know that when U.S. Customs and Border Patrol encounter people on our borders or those seeking asylum one of the first things they do is to confiscate the shoelaces from the shoes people have been wearing to get to the border? The shoelaces are not returned so those held by the border authorities have to navigate each step, sometimes for months, with shoes that cannot be closed to support their feet and legs. Just one more manifestation of the cruelty that these people face. We invite Jews doing a Passover Seder and Christians having a celebratory Easter dinner to consider adding shoelaces on our Seder Plate or Easter dinner table–to recall the fate of refugees, migrants, and asylum seekers. Use this same symbol as a way of generating discussions at your meals this coming weekend about what the U.S. is doing to some of the most vulnerable and powerless people on the planet. Or if you don’t do either of these, then wear it like a necklace or on some other place of your clothing prominently displayed. The Trump Administration last week fired the head of Homeland Security for being too “soft” on refugees and asylum seekers. So we hope if you know Trump supporters to ask them what they intend to do to care for the refugees and asylum seekers (though not from a standpoint of moral arrogance on our part, recognizing that the Obama Administration deported over two million refugees (more than all the previous administrations combined had deported). The Torah is filled with commands to love and care for “the stranger/the Other,” a command being systematically violated by our sisters and brothers in Israel as they deny the Palestinians equal rights and are slowly making life unsustainable in the West Bank and Jerusalem for increasing numbers of non-Jews. OY! Christians might remember the Gospel account of Jesus’ family having to seek refuge in Egypt to escape the tyranny of Herod, Rome’s appointed governor of ancient Judea which the Roman colonizers had renamed Palestine after the Greek mythological goddess figure Palestina. Many of us in the Jewish world recognize that WE are all descendants from refugees and asylum seekers. Indeed, the Seder guide book, the Haggadah, begins the “telling of the story” of our suffering under Pharaoh by recounting that our ancestors were refugees when they came to Egypt, only to eventually be enslaved there. We invite our non-Jewish allies to also identify with their own ancestors who were surely refugees at one point in their lives, particularly those whose ancestors came as refugees or asylum seekers the United States where a more generous and caring attitude prevailed every once in a while in US history (though not so much for Catholics, Italians, Irish, Poles, Chinese, Japanese, Pacific Islanders, Mexicans, Muslims, and Jews). And this hostility toward “the Other” in the U.S. was an extension of the deep racism that provided the background for the genocide of Native Americans and the enslavement and continuing oppression and racism toward African Americans. In a new statement made on April 15th, Trump also renewed has verbal assault on Muslims and his desire to prevent them from coming to the U.S. We stand in solidarity with the Muslim community as well and you can use the discussion of why you are wearing or displaying the shoelaces to also address the Islamophobia and how it is terrible on its own terms, and dangerous for every other minority in the U.S. whenever prejudice gets governmental support. Rabbi Michael Lerner is editor of Tikkun, co-chair with Indian environmental activist Vandana Shiva of the Network of Spiritual Progressives, and rabbi of Beyt Tikkun Synagogue-Without-Walls in San Francisco and Berkeley, California. He is the author of eleven books, including two national bestsellers: The Left Hand of God and Jewish Renewal: A Path to Healing and Transformation. His most recent book, Embracing Israel/Palestine, is available on Kindle from Amazon.com and in hard copy from www.tikkun.org/eip. 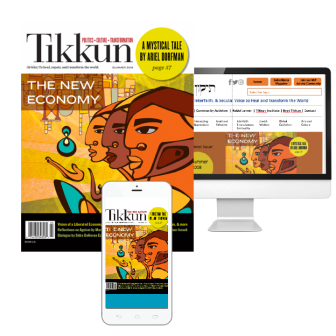 He welcomes your responses and invites you to join with him by joining the Network of Spiritual Progressives (membership comes with a subscription to Tikkun magazine). You can contact him at rabbilerner.tikkun@gmail.com.